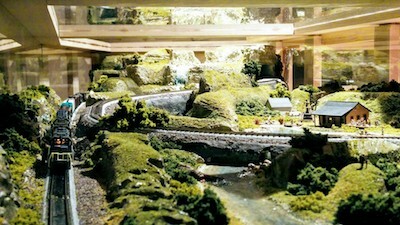 Railroad in a Bar ! 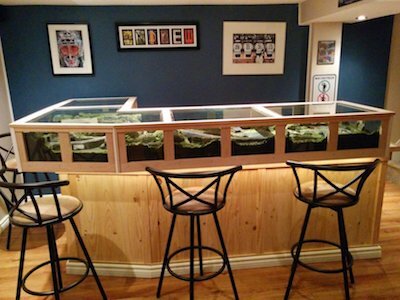 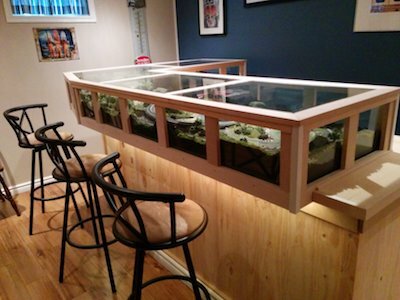 This is a set of pictures of my n scale layout inside my custom built bar. 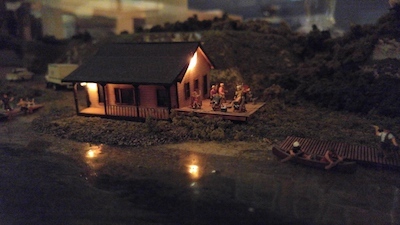 It features 2 waterfalls, 3 lakes, a cottage, canoes, camping sites, deer, bears, and of course the train!